Can you share plans for high-level Lua framework over GeeXLab Lua API? I am hoping to use new GeeXLab in similar way old GeeXLab was envisioned. Any news about high level framework ? Any way to sponsor the effort of Lua framework and GeeXLab SDK ? I will upload asap the current version of the micro Lua framework on GeeXLab download page. The framework is rather minimal and does only simple things. But it can be used as a base for a more advanced framework. The principle of this framework is the following: you create objects in the INIT scripts and you render the scene in the FRAME script by calling hlf_render_frame(). It's a kind of retained mode. 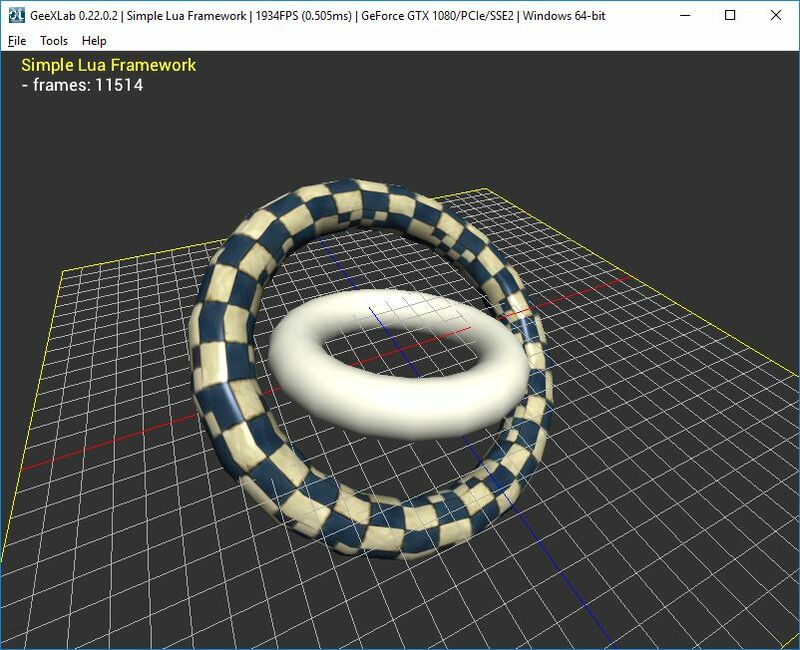 All 3d code (binding textures + gpu programs and objects rendering) is hidden in hlf_render_frame().